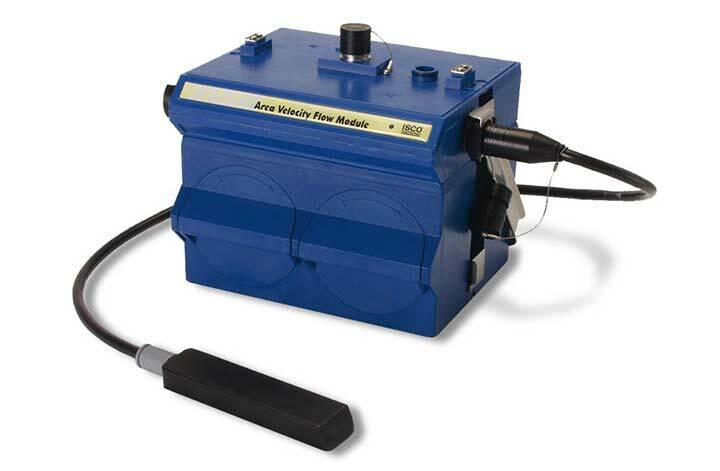 The ISCO 2150 area velocity flow meter features a smart area velocity probe which is built on digital electronics, so the analog level is digitized in the sensor itself to overcome electromagnetic interference. The area velocity probe is factory calibrated for a 3 meter span at different temperatures. This calibration eliminates drift in the level signal and provides long term level stability. This reduces recalibration frequency and completely eliminates span recalibration. 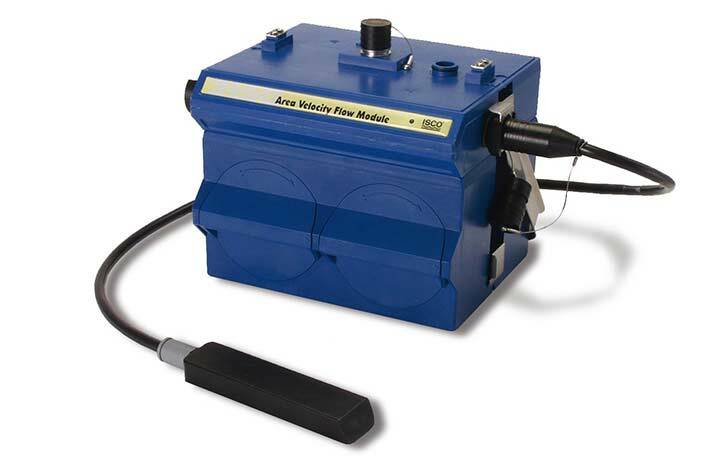 In the field, the ISCO 2150 flow meter can be powered by either two alkaline, or ISCO Rechargeable lead acid batteries, within a 2191 Battery Module. The battery has a life of up to 15 months at 15 minute data storage intervals due to highly efficient power management. Submersible enclosure meets NEMA 4X, 6P (IP68) environmental specs. Chemically resistant epoxy-encapsulated sensor withstands abuse, resists oil and grease fouling, and eliminates the need for frequent cleaning. The replaceable high-capacity internal desiccant cartridge and hydrophobic filter protect sensor reference from water entry and internal moisture. Variable rate data storage lets you change the data storage interval when programmed conditions occur. This feature assures maximum information about an exceptional event such as an overflow while conserving power and data capacity during normal conditions. Easy to upgrade. New operating software can be downloaded into non-volatile flash memory, without affecting stored program and data. Up to four 2100 Series flow modules can be networked by stacking and/or extension cables. Pressure transducer vent system automatically compensates for atmospheric pressure changes to maintain accuracy. 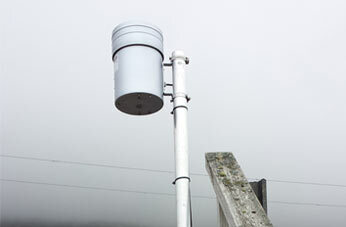 The quick-connect sensor can be easily removed and interchanged in the field without requiring recalibration. Records and stores input voltage and temperature data. 38,400 bps communications provides speedy setup and data retrieval. Program Memory Non-volatile programmable flash; can be updated using PC without opening enclosure; retains user program after updating. 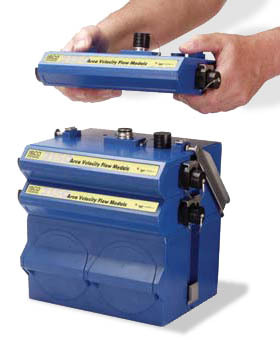 Flow Rate Conversions Up to 2 independent level-to-area conversions and/or level-to-flow rate conversions. Level-to-Area Conversions Channel Shapes - round, U-shaped, rectangular, trapezoidal, elliptical, with silt correction; Data Points - Up to 50 level-area points. Storage Mode Rollover; 5 bytes per reading. Data Retrieval Serial connection to PC or optional 2101 Field Wizard module; optional modules for spread spectrum radio; land-line or cellular modem; 1xRTT. Modbus and 4-20 mA analog available. Multi-module networking Up to four 2100 Series Flow Modules, stacked and/or remotely connected. Max distance between modules 3300 ft (1000 m). Cable (Length x Diameter) 25 ft x 0.37 in (7.6 m x 9 mm) standard. Custom lengths available on request. Range (standard) 0.033 to 10 ft (0.010 to 3.05 m); (optional) up to 30 ft (9.15 m). Batteries Two 6-volt Energizer Model 529* alkaline (25 Ahrs capacity) or Isco Rechargeable Lead-acid (5 Ahrs capacity) recommended. *Note Energizer 529 ER does not give specified life. © RS Hydro 2019. All rights reserved. A&OE excepted.